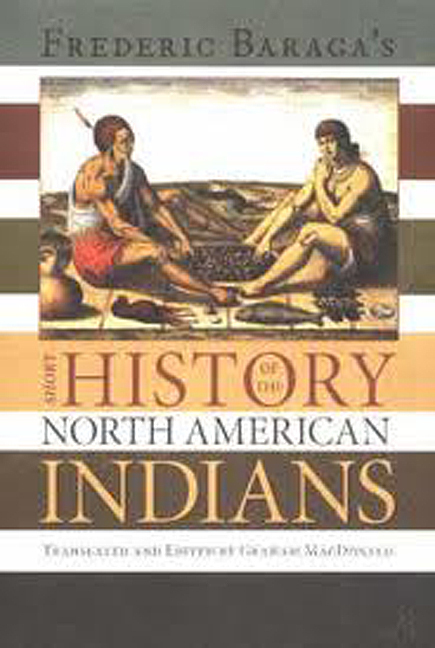 Originally published in 1837 in Europe in German, French, and Slovenian editions, Baraga’s Short History of the North American Indians is the personal, first-hand account of a Catholic missionary in the Great Lakes area of North America. Baraga served as a missionary and as bishop of Sault Ste. Marie and Marquette, from 1830 until his death in 1868. His significant contribution to Native American history is associated with this publication and provides invaluable insight into the nature of mid-nineteenth century central European mission initiatives to the New World. The text also includes a substantial amount of original observation about the Lake Superior frontier in the early nineteenth century, particularly the exterior side of life such as dress and customs, hunting techniques, tools, and art. This translation includes an introduction to the text that discusses Baraga’s work and places it into a historical context. Graham MacDonald has worked as a teacher, planner and historian across Canada and is currently a historian for Parks Canada in Calgary.